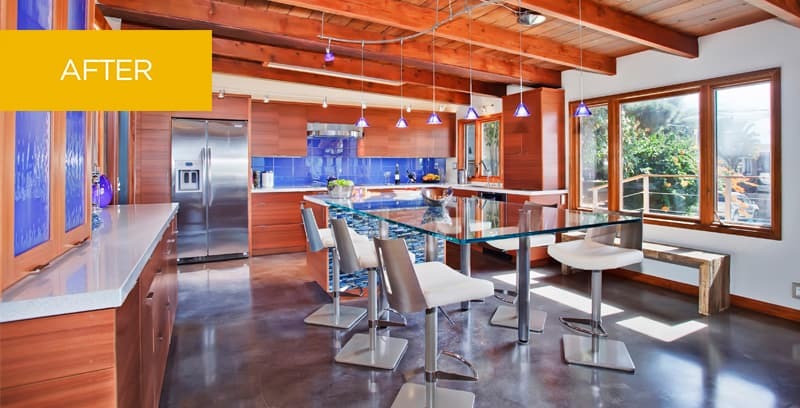 This bold kitchen delights the eye with vivid blue details and warm wood tones while honoring the vision of the local architect who built the original home in 1952. The homeowners are a professional couple, empty nesters looking to bring some new vitality to their environment. Inspired by imaginative design, the clients were clear about making a design statement, not just getting a kitchen “makeover.” The existing home was designed by architect Loch Crane and the clients have loved their house since they bought it in 1992. 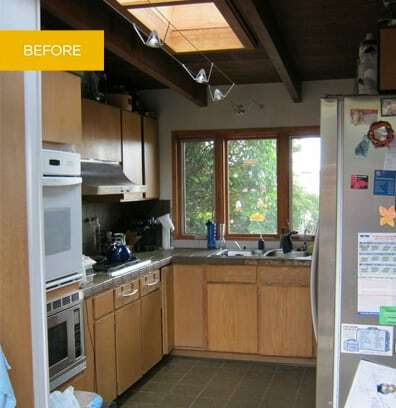 They wanted a more functional and modern kitchen that would both honor and enhance the surrounding environment. The kitchen is the first room seen upon entering the home and its visual appeal is integral to a visitor’s experience. The clients love to entertain and often have overnight guests. The home’s location in a coastal community near the San Diego Yacht club and the husband’s boating hobby inspired a nautical spirit and open, light-filled layout in the kitchen design.